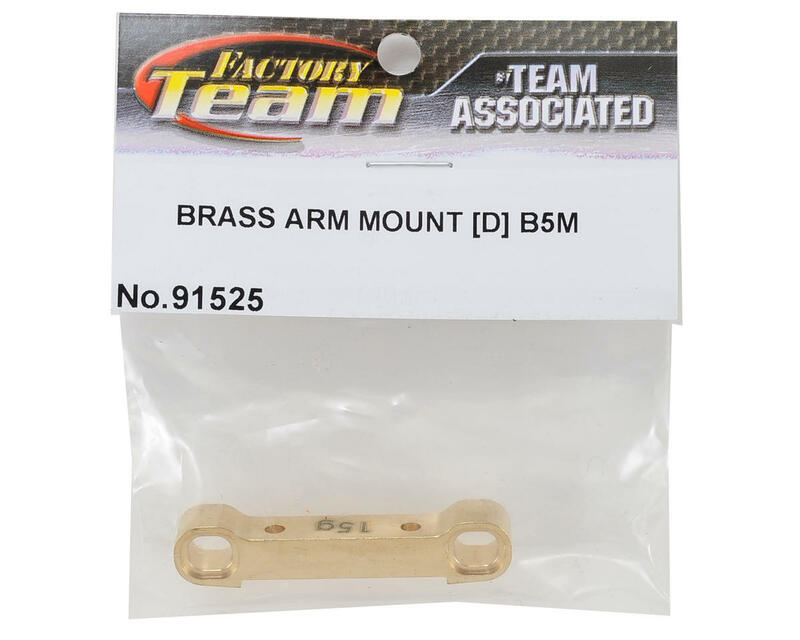 This is an optional Team Associated RC10B5M "D" Factory Team Brass Arm Mount. 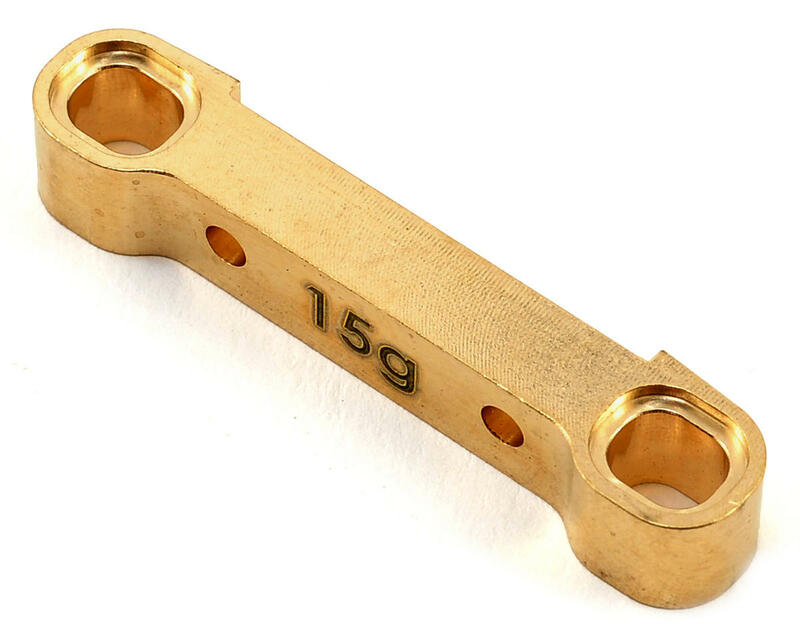 This brass mount adds 15 grams of ballast weight, while adding additional strength. NOTE: Rear Arm Mount "D" Inserts (ASC91389) are not included and must be purchased separately.